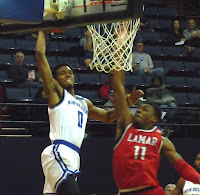 The Privateers (6-8, 3-0) continued their hot start to the Southland Conference season by knocking off Lamar 72-62 at Lakefront Arena on Wednesday night. New Orleans, now alone in first place in the young season at 3-0 (Southeastern Louisiana is also unbeaten but has only played twice), led 29-16 at the break after an ugly first half. 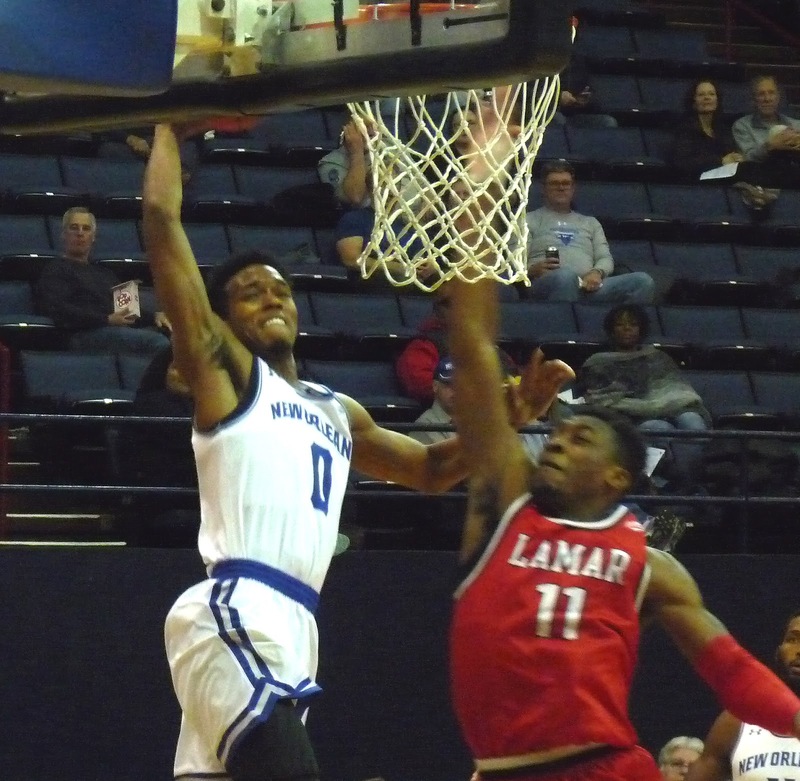 Lamar, which featured former UNO coach Tic Price as well as former Privateer players Colton Weisbrod and James Harrison, shot as frigid as the temperature outside, hitting on just 27% of their attempts in the first stanza. After UNO extended its lead to 18 early in the second, Lamar rallied with a flurry of threes and got within four at multiple points down the stretch. But the Bucs, shooting a perfect 13-for-13 from the free throw line, held off the Cardinals late to secure another victory. Makur Puou led New Orleans with another strong effort with 14 points. Diontae Champion added 13, and Travin Thibodeaux and Bryson Robinson added 12 each. Robinson also had 8 assists. Thibodeaux had 3 steals, two of which came late on critical Lamar possessions. UNO will head to Lake Charles next on Saturday to take on surprising McNeese State.